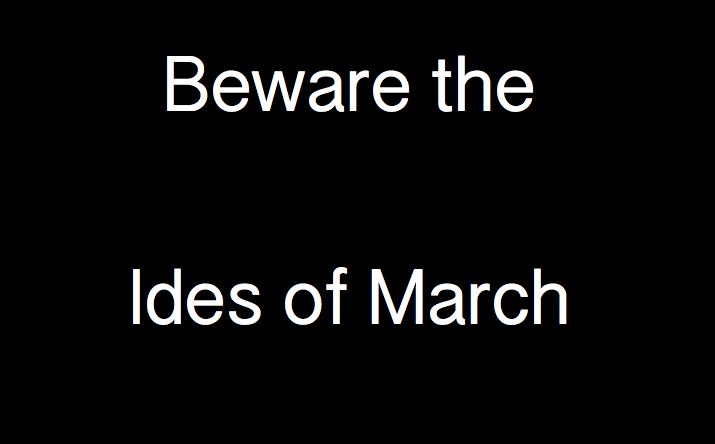 Beware the Ides of March. 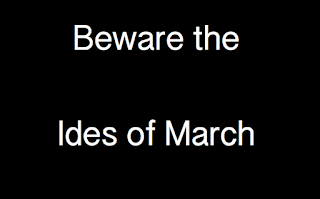 This famous warning was issued by a soothsayer to Roman leader Julius Caesar. Caesar paid little attention to his demise and was murdered on March 15. But the date seems to draw interesting tragedies to it. March 15, 1941 had been a delightful day in the Red River Valley region of North Dakota. The sun had come out and the snow was beginning to melt. Spirits were high because spring couldn’t be far behind. It was Saturday night and local residents were enjoying a night on the town after a week of grim war news from Europe. The weather forecast was typical for the area -snow with colder temperatures arriving overnight. No one knew that the weather system bearing down on the region would be remembered for decades as the Blizzard of the Century. 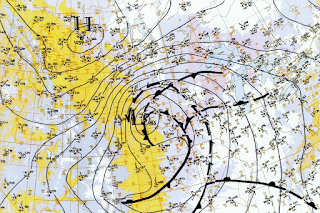 It began with the wind – intensely cold wind that kept building until it sustained at 50 mph with bursts up to 85 mph. People were driving to activities when the winds hit. 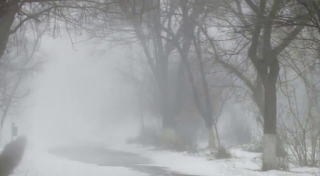 Reports indicated that temperatures dropped 20 degrees within 15 minutes that evening as artic air roared through bringing blizzard conditions. Many families froze to death in their vehicles or trying to find shelter. Snow drifts measured 7-feet high, some reaching up to 12-feet. 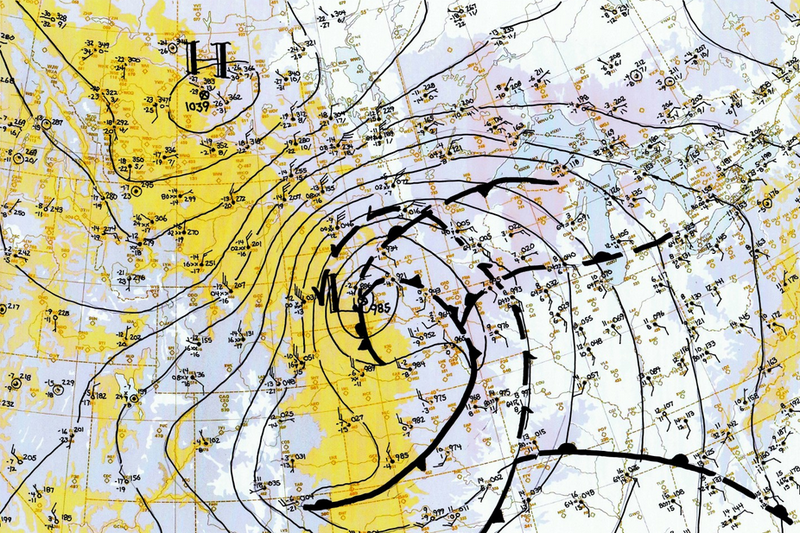 When the storm had passed, 151 people had perished - 39 in North Dakota and 32 in Minnesota. This freak storm brought about a necessary change in how blizzard watches and warnings were handled. No longer would Chicago weathermen issue alerts for regions outside the Windy City. Local weathermen would begin to establish control over their region’s forecasting, and issue alerts and warnings as needed. Here’s wishing you a calm and enjoyable Ides of March! 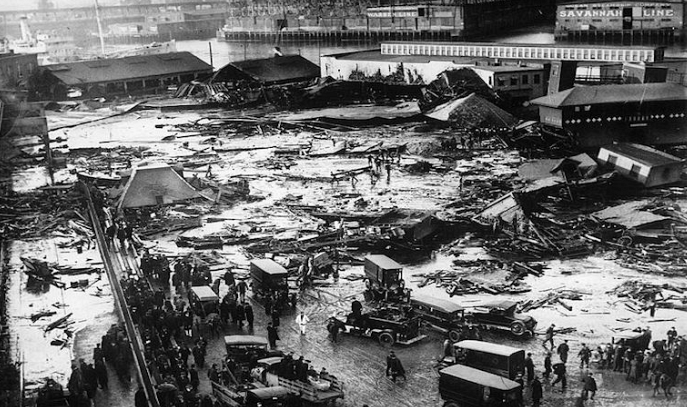 One hundred years ago, Boston was deluged in one of the stickiest messes it’s ever had to face. 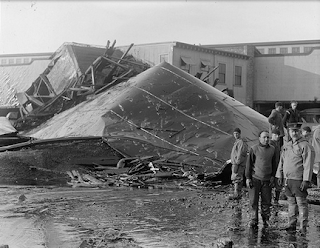 Around midday on January 15, 1919, a 58-foot tall storage tank at the Purity Distilling Company, a subsidiary of the United States Industrial Alcohol Company, burst apart releasing more than two million gallons of hot molasses. According to The Boston Globe, there was a “tidal wave of death and destruction stalking through the North End.” The sudden release of millions of gallons of molasses sent waves of the sticky substance surging between 15 and 40 feet high through the area. 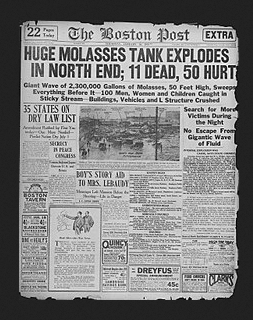 Why were millions of gallons of molasses being stored in Boston? The molasses was held waiting to be processed into industrial alcohol, according to United States Industrial Alcohol Company. Known as the Great Molasses Flood, the syrup covered people, horses and automobiles. Workers ran for cover as rivets popped loose from the tank and peppered the area like bullets. Structures were knocked off their foundations including the fire station - home to Fire Boat 31. The Boston Elevated had just passed the tank before it burst. Molasses then surged out leveling the elevated trestle with a wave of syrup as the tracks fell to the street below. Twenty-one people were killed; two were 10-year-old children walking home for lunch. Seventeen more were nearby workers. 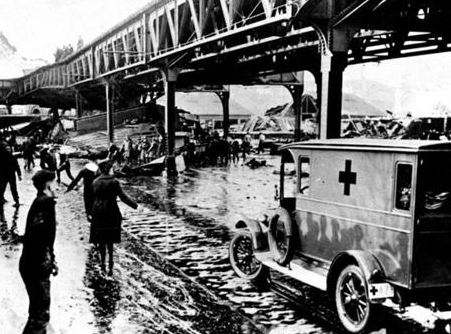 Most died of suffocation as the molasses congealed quickly in the cool winter air hampering rescue efforts. More than 150 people were injured. Dozens of horses were killed in the flood of syrup. Railroad clerk Walter Merrithew was trapped against a freight shed where he hung several feet above the ground watching horses trying to outrun the rushing brown substance. Rescue attempts took four days, and clean up of the area took another six months to complete. Damage to the city was estimated at around $100 million. The court battle was one of the longest in the history of Massachusetts. Rumors of anarchists with a bomb were floated by US Industrial Alcohol Company, parent company of Purity Distilling. Others said the molasses had fermented in the tank, which led to the eruption. More than 3,000 witnesses were called to testify including engineers, scientists, and metallurgists. It took six years before investigators ruled that shoddy tank construction was the cause of the explosion. The United States Industrial Alcohol Company was found to be at fault and ordered to pay $1 million dollars in damages. In 2015, researchers determined that the disaster was indeed caused by the thin steel used in the design of the tank. The casualty rate was aided by the chilly winter air, which caused the molasses to thicken quickly trapping people as it rolled through the neighborhood. Saint Meinrad is a monastery located in the rolling hills of Southern Indiana near the town of Saint Meinrad. The monastery was founded in 1854 by two Benedictine monks from the Abbey of Einsiedeln in Switzerland. Today the monastery operates a seminary and school of theology with more than 80 monks residing there. Besides living lives of prayer, the monks of Saint Meinrad also have a line of caskets. Abbey Caskets was founded in 1999 as a way to support the works of the Archabbey. The caskets are built around the simple design used for the caskets for Benedictine monks for centuries. Local craftsmen handcraft the wooden caskets and cremation urns from hardwoods like walnut, oak, poplar and cherry according to the specifications of the monks. 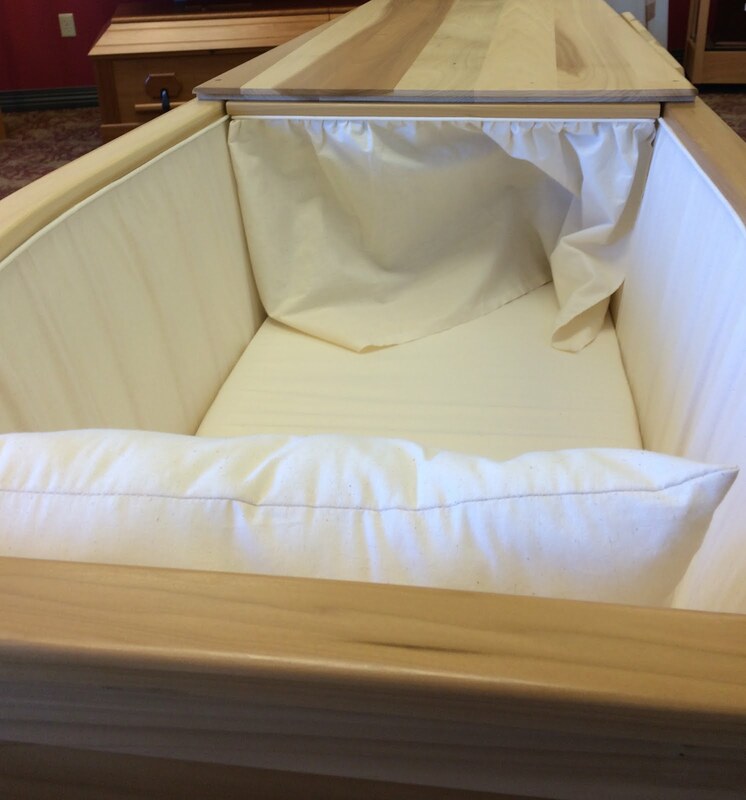 The caskets are lined with linen-covered mattress and a pillow. According to the Archabbey, “The quality and construction of our caskets and urns represent the monks’ values of reverence, dignity and hope.” Traditional and monastic caskets are available along with urns for cremains and handcrafted furniture, which includes deacon benches, foyer benches and kneelers. The production facility is located on the Archabbey grounds and overseen by one of the brothers. This also allows customers to tour the production facility and see how the caskets are made. There are two showrooms – one in Saint Meinrad and another at the Monastery of Holy Cross in Chicago. The monks offer a program where a person may make monthly payments may be now to relieve the family from the burden of funeral planning later. According to the 1994 Federal Trade Commission Funeral Rule, "funeral homes must allow for the use of a casket purchased else where, and may not charge a fee." In keeping with the Benedictine spirit of hospitality, the grounds of Saint Meinrad and the Archabbey Church of Our Lady of Einsiedeln, built in the Romanesque style, are open for visitors to explore. Or call 800-987-7380. Saint Meinrad also provides retreats throughout the year and has a gift shop and bookstore on the grounds. Today is the final day to celebrate the Day of the Dead – a time to honor and celebrate loved ones who have died. The holiday is held November 1st and 2nd throughout Central and Southern Mexico. According to Mexican tradition, the gates of heaven open at midnight October 31st and all of the children who have died come back to visit their families. On November 2nd, adults who have departed are also able to return to earth for a short visit with loved ones… a true celebration of life and death. 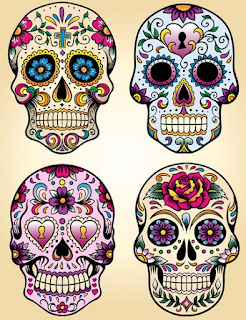 Aztec and Mayan cultures have celebrated Day of the Dead for thousands of years. Mourning the dead was considered disrespectful so a party was thrown each year to remember and honor those who had died. 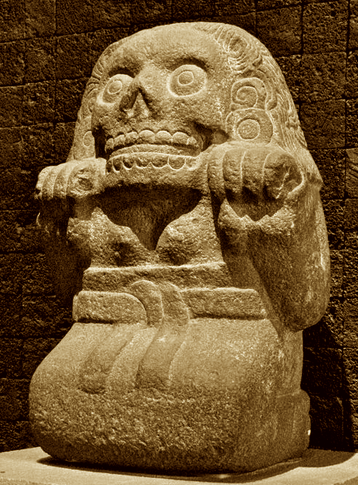 Instead of two days, those celebrations lasted for an entire month and offerings were made to Mictecacihuatl, the Queen of the Dead. Alters are the centerpieces of the festivities. They are erected in homes and cemeteries and decorated with flowers. (Marigolds are the most popular because they are said to attract the dead.) Fruits and a candle for each deceased family member along with photos are included. 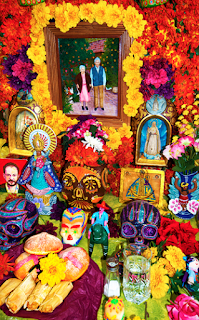 An array of food is prepared, maybe a loved one’s favorite meal, pan de muerto (bread of the dead), and water waiting to welcome visiting spirits back home. Special gifts like candies and toys are left for the children’s spirits while adults are offered cigarettes and alcoholic beverages. Families honor their loved ones to the best of their abilities so only the best food and drinks are provided. November 2nd is a social day in the local village. It's the day families travel to the cemetery to clean and decorate their loved ones graves, visit with neighbors, and remember those who have passed with stories and humor. 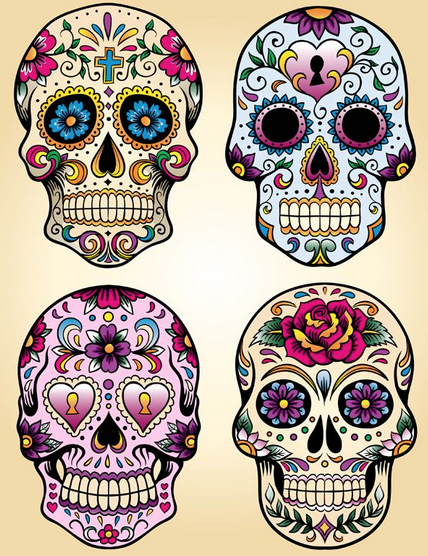 Sugar skulls, a regional candy made of sugar cane and decorated elaborately, are believed to be “absorbed” by the visiting souls. The local band provides music for the event. La Calavera Catrina is a symbol of the day. 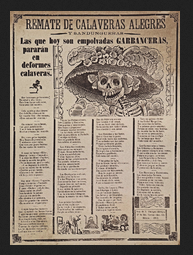 This female skeleton was created by Mexican artist Jose Guadalupe Posada in 1910 and dressed in the styles of 1900 including a large brimmed black hat. Men dress in fancy suits, and everyone paints their faces to resemble colorful skulls. The costumes are also a reminder that we are all the same under the skin. Singing, dancing and parades are held as part of the celebration. 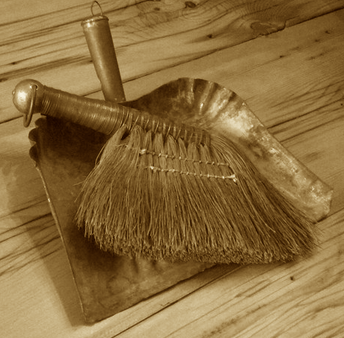 Noisemakers are used to “wake up the dead” and keep them involved in the celebration. When the party is over, the dog Xoloitzcuintli is said to assist in guiding the souls back to heaven. 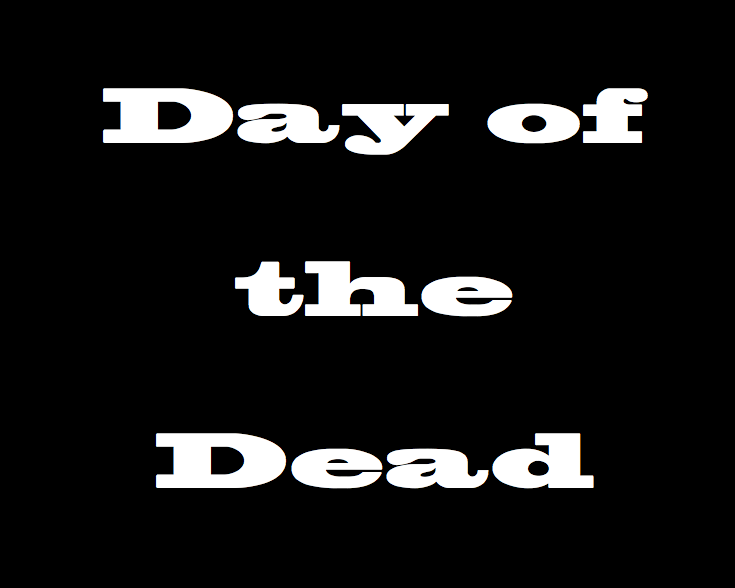 Day of the Dead celebrations are held in Latin American countries, Spain and the United States. 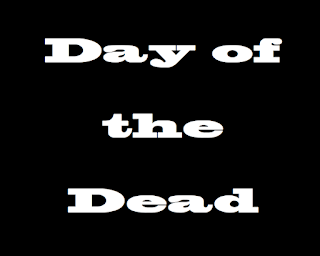 The United Nations Educational, Scientific and Cultural Organization (UNESCO) listed Day of the Dead as an Intangible Cultural Heritage of Humanity in 2008. Sugar skulls are popular with children, and parades of costumed revelers are always anticipated. Although the holiday is fun and festive, it is meant to honor loved ones who have died, and to celebrate life, and death – something we all will eventually have in common with each other. The hauntings began two years after Loew’s State Theatre opened in 1928 in Syracuse, New York. Built by Marcus Loew, the gilded movie palace held over 3,000 seats and showed silent films and “talkies.” For silent movies, the majestic Wurlitzer organ provided music and numerous sound effects. With 1,400 pipes, the theatre would come to life with music, birdsong, hoof beats and animal sounds. A Tiffany chandelier graced the lobby, and the grand staircase led to the Promenade Balcony where a fishpond with a Chinese pagoda fountain could be found. The theatre continued through the Great Depression and into World War Two showing newsreels of battles and air wars, and popular Hollywood war films starring Clark Gable and John Wayne. 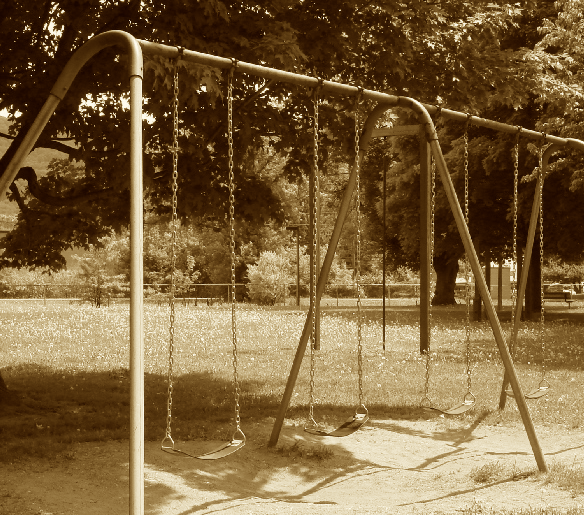 But by the 1970s, it had fallen on hard times. The organ and the chandelier had been sold, and vandals had destroyed the rich fabrics, gilded walls and stories-high murals. The theatre seemed doomed to the wrecking ball. But thanks to some sharp thinking citizens, the Loew State Theatre building was listed on the National Register of Historic Places in 1976, saving the grand dame from demolition. Today there are three ghosts said to haunt the Landmark Theatre. The most “friendly” is Clarissa, an actress who fell from the balcony. The scent of lilacs, her favorite flower, trails her as she meanders across the stage. But she has no tolerance for smokers. Light up a cigarette and Clarissa may appear to remind you to douse the “coffin nail.” Clarissa is seen as a wispy white figure who floats through the building. Ghost hunters have captured a woman’s voice saying, “I fell off.” Could it be Clarissa explaining what happened to her that fateful night in 1930? A stagehand known as Oscar also keeps watch over the theatre. 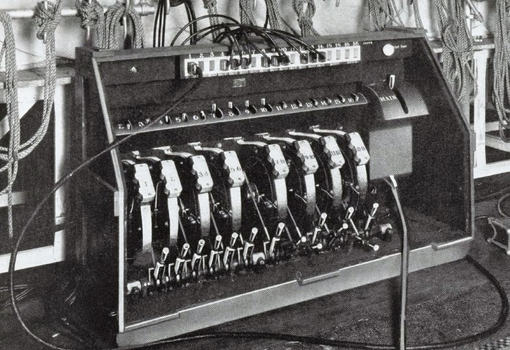 Oscar was electrocuted one night while working on the lighting board. Today he is known to flip the lights on and off when he’s restless. Oscar can provide a shocking experience if sighted still puttering around with the current theatre’s lighting board. Then there’s Charlie the janitor who lived in the theatre basement as a caretaker during the 1970s. Charlie died of natural causes downstairs but he still takes his job seriously. Piles of dirt and debris are moved around the theatre as Charlie continues to clean up. In 2011, the Landmark Theatre held a grand opening after a 16-million dollar renovation. 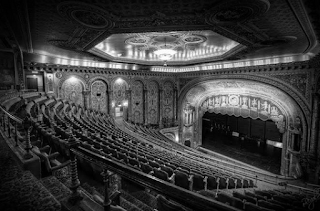 The theatre now holds haunted tours to showcase their resident spirits. These annual fundraisers are held in October with the assistance of the Central New York Ghost Hunters. 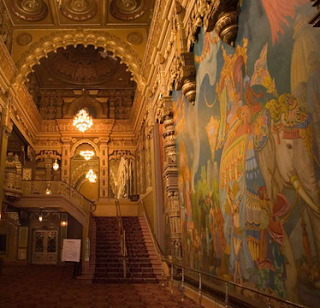 Today, the Landmark is home to Broadway musicals, stage plays and private events. 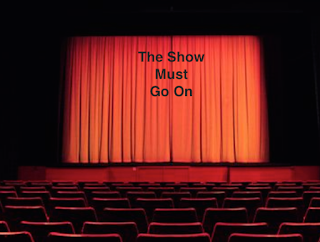 And also to an actress, stagehand and janitor who still believe that "the show must go on." As a Tombstone Tourists (someone who frequent cemeteries), I love the abundance of evergreen trees found in the older sections of the graveyard. These trees lend color and aroma to a somewhat bleak terrain, thanks to their rich greenness, hardiness and longevity. 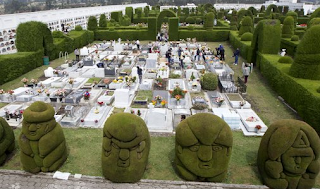 Cemetery evergreens include cedars, firs, pines, spruce, hemlock, juniper and yew trees. But cedar trees are my favorite. There are four main types of cedar trees including Atlas (found mainly in Africa), Deodar (grows in the U.S. and favored for its long-hanging "weeping" appearance; perfect for a cemetery), Cedar of Cyprus (found mainly in Cyprus, Syria and Turkey), and Cedar of Lebanon (the most cold-hardy of the group also found in the U.S.) Cedars became popular as graveyard trees because they were considered sacred in several countries. Their “forever greenness" represents eternal life or the concept of rebirth. Ancient Egyptians thought that cedar trees represented immortality. This is why cedar resin was used in the embalming process, and as a liner in coffins. The Cherokee Indians believed that cedar trees took on the spirits of those buried under them. Therefore, these trees were scared to Native Americans. If you plant a cedar tree, you are bringing good luck to the location. Cutting down a cedar tree is bad luck. If a cedar tree dies in your yard, someone in the family will die. If you tie a knot in a cedar twig still on the branch, name it after your love, and it continues to grow, that person will grow to love you. Cedar trees bring wealth and prosperity to the landowner. You may only bring a cedar tree into your home during the Christmas season. Otherwise, you are dragging in bad luck. For good luck, plant a cedar tree. Cedar trees repel evil spirits. The abundance of cedar trees in older cemeteries offers comfort. These strong, sturdy trees grace the graves of our ancestors: pioneers, frontiers men and women, and those who dared to come to America and blaze their own trails. It's encouraging to see their graves are protected, sheltered and shaded by these beautiful sentinels. I will be at the annual American Library Association (ALA) Conference and Exhibit in New Orleans on June 21- 23 signing copies of my book, The Family Tree Cemetery Field Guide. If you’re in the area, stop in.